Hotel LaRose, Santa Rosa, Califormia. Pencil drawing by Ruth Robertson. Date unknown. In yesterday’s post, we looked at a book that belonged to my great-grand aunt, Agnes Catherine Gaffney. 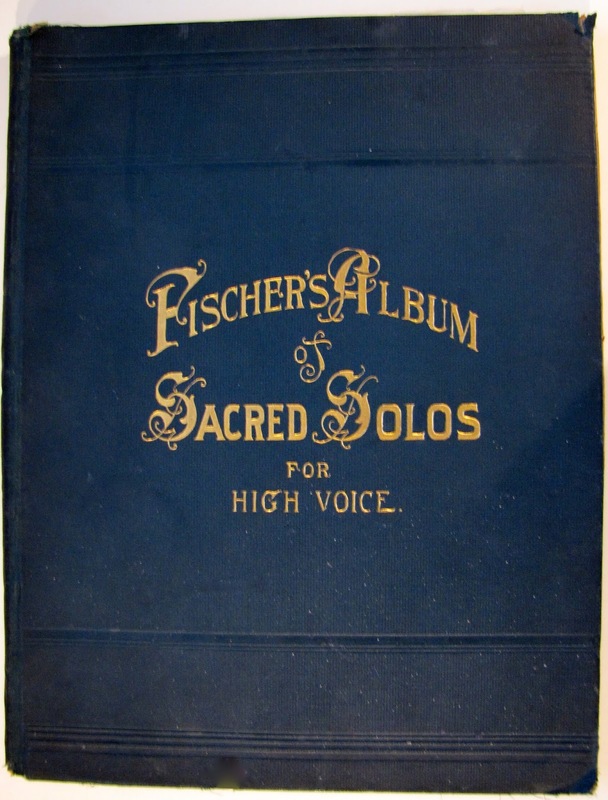 Agnes, blessed with a beautiful soprano voice, would have sung from this beautiful hymnal, Fischer’s Album of Sacred Solos for High Voice, at Catholic Masses, in her hometown of Conneaut, Ohio. This century-old book has made its way down four generations since Agnes used it in the mid-1890s. It came to me recently from my second cousin Suzanne Olson Wieland, who inherited it from her late mother, Jane (McCormick) Olson. Inside was a long sheet of thin onion paper between the second and third pages, ostensibly protecting a 9″ x 12″ sheet of white paper with the pencil sketch shown above. The drawing is not dated, and there is nothing on the reverse. It has two small pieces of scotch tape on the back bottom corners, as if it had been taped to a picture mat and framed. The drawing depicts a three-story stone building, called the Hotel LaRose, flanked by two large evergreen trees and a tall palm tree in front. There is no other writing except for the words “Restaurant & Lounge” on the front of the awning on the lower right hand corner. At first glance, I guessed it to be an early sketch by my late great-aunt, Benita (McGinnis) McCormick, a well-known local artist. I wondered whether it had some significance to her, or to Aunt Agnes. But I also wanted to know: what was it doing in her hymnal? Then I put on my glasses – a must these days if I really want to see things as they are! – and looked at the sketch more closely. It turns out the sketch was not signed by Benita, but by Ruth Robertson, who as far as I know is not a relation. And there was another thing. Palm trees do not grow in Ohio. The weather is too cold for them. The Hotel LaRose had to be from somewhere else. But where? I went online and searched for “Hotel LaRose.” The first result revealed a Hotel La Rose in Santa Rosa, California, at the heart of its historic Railroad Square. When I looked at the hotel’s website, I found a photograph that was nearly identical to Ruth Roberton’s pencil drawing. The website went on to note that this lovely hotel was built in 1907, a year after the Great San Francisco Earthquake. It is listed as a historic hotel with the National Trust for Historic Preservation and was restored in 1985. An earlier photograph of the hotel, taken in the mid-20th century, shows that unlike the drawing, none of the windows had any awnings. This begs the question as to whether they were there in the early days or were added after the 1985 renovation. The answer could help date the picture and even give us a clue about the artist herself. Google searches did not reveal an artist named Ruth Robertson, much less anyone by that name who lived in Santa Rosa. Jane Olson and her husband, Eldon “Ole,” retired to Santa Rosa in the mid-1980s. Did they obtain the sketch while living there, maybe from Ruth Robertson herself? Given their Santa Rosa residence, this seems like the most plausible explanation. My guess is that there was no connection between the drawing of the Hotel LaRose to Agnes’ hymnal or even to Agnes herself, for that matter. 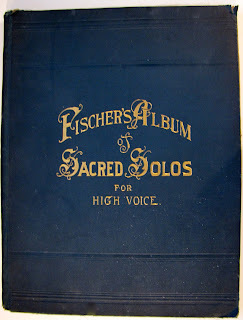 More likely, the large hymnal happened to be a safe place to store the drawing all these years. What meaning did it have for Jane? She did not keep things frivolously unless they had some value or special significance. Did she and Ole stay overnight at the Hotel LaRose? Or was this a gift from a friend, a fellow retiree, or even Ruth Robertson? If you have any thoughts, let me know. Otherwise, a trip across the Golden Gate Bridge to the north bay might be in order. I think I know a good place to stay. Ah, Santa Rosa! I love escaping from the valley heat and heading that direction. Such a beautiful destination. Well, Linda, I don't have any suggestions for your research, but I believe the Sonoma County genealogical society has a website you might consult. Hopefully, they have some local resources that might help you unravel this mystery. Thanks, Jacqi! I like your suggestion, especially as I have them on my list for other research on another branch of the family tree. Guess a trip up that way wouldn't hurt, either, especially if we can go wine-tasting after a long hard day of sleuthing…wink, wink!